Letting go of used electronics is tough. We understand. Every time you pick up your old Samsung S7, you hark back to the day you first bought it. All the amazing photos you have taken with this phone! Or your PlayStation 3 collecting dust in the corner of your room. Ah, the hundreds of hours you have spent on that console. Even the electric kettle sitting solemnly in your kitchen shelf, all left untouched, replaced by their newer counterparts. That is when a thought clicks in your head, you could sell it! But how, who, where do you sell it? Or should you take the easier way out and just throw it down the chute? Fret not! We have all the answers you need. Reselling used technology is less of a hassle than most would assume. With multitudes of companies specialising in purchasing used electronics from phones to fridges, finding a buyer is hardly an issue. Unloading your used electronics is all about price. If you are not a big fan of haggling with strangers on the internet (no low ballers please!) or simply do not have the time to maximise your returns, second-hand dealers are your best bet. Shops like Cash Converters are more than willing to take old equipment off your hands. The company prides itself on the immediacy of the transaction. Upon agreement of the price, cash will be paid instantly. As if that is not simple enough, you can even request for a quotation by sending them a picture of your item and agree upon a price without ever setting foot in their stores. 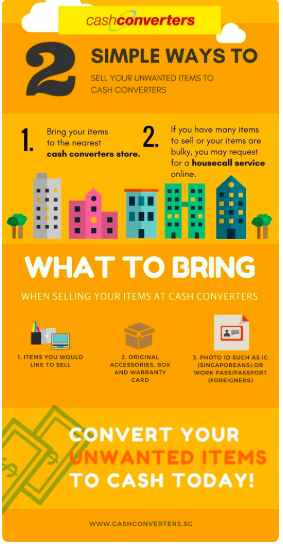 Just make sure to check if your item is in their buying list before proceeding. You can view the buying list here. If you are looking to upgrade your laptop or phone, you might want to check out PC Dreams. Offering the option to trade in your device for either a cash payout or an upgrade to a newer model, PC Dreams is a quick and easy solution to offload or upgrade your devices. Similar to Cash Converters, you are able to request for a quotation via their website, PC Dreams. 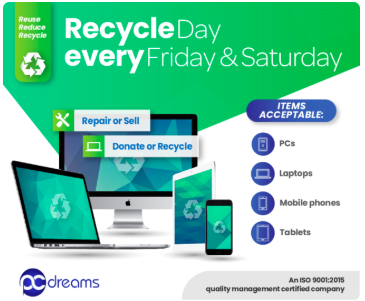 One of the greatest perks we have found of PC Dreams is the option to also donate your device for a charitable cause or to send the item completely for recycling. If the device sent in is deemed valuable, you may even receive a discount voucher for use at Challenger. Find the service here. - WHY USE IT? - These stores are great if you want to skip the hassle of finding a buyer or are looking to free up your home space of old appliances quickly. However, if you are certain you could fetch a higher price with your used devices than what the second-hand dealer offers, look into the consumer-to-consumer (C2C) markets. The consumer-to-consumer market is a great place to sell off your existing devices. You set the price, you set the conditions, and only you receive the payment. No middleman, no form-filling, and you choose where to trade! Almost everyone has heard of, bought, or sold an item on the biggest local C2C app locally, Carousell. To date, over 160 million items have been sold on the platform, with electronics being one of, if not the most, sought after category. Download the app, create an account and you can immediately start listing items for everyone on the digital marketplace to see. If you are new to the platform or are having difficulty finding suitable sellers, the Carousell blog has a great write-up about how to spruce up your listings! - TO NOTE - However, with great power comes great responsibility. Be wary of potential scammers and fake buyers! The Singapore Police Force reports that over 80 per cent of all e-commerce scams in 2018 happened on Carousell. To counter such scams, Carousell has an inbuilt payment system aptly named CarouPay, which only releases payment upon satisfactory receipt of item. Letgo is a US-based C2C mobile app that, as the name suggests, helps you let go of stuff. 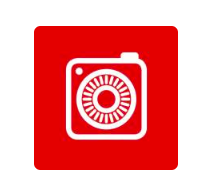 The company sets itself apart from its competitors by having an image recognition software. Once you have gone through the digital gantry of setting up your account, upload an image of the item you are selling and let the software do most of the work. It will automatically recognise the product you are selling and build a listing for it, aiding buyers to your item. Considered the pioneer of the digital C2C market in Singapore, Gumtree has been around since the start of the 21st century. Unlike the other two previously listed options, Gumtree is not a mobile-based application. It is a classified ad and community website that boasts a large and welcoming community of buyers and sellers. Items listed on the website also have a limited time period before they are removed; for electronics, that limit is 45 days. This means that all the listings are always kept fresh and your items are not fighting amongst millions of other listings as with Carousell and Letgo. - TO REMEMBER - If you do choose to use a C2C service, we cannot stress enough on the risk of scams. Avoid mailing or delivering your devices before receiving payment and if you can, meet up with the seller in person for a face-to-face transaction to ensure you minimise such scams. If you have exhausted all the options above or deemed your device too old to be sold, instead of just chucking it down the nearest rubbish chute, consider recycling it. - E-waste (electronic waste) are devices that are no longer usable, functioning, or are obsolete. E-waste has become a leading environmental problem due to improper disposal of electronics, resulting in most ending up in landfills or burnt, releasing toxic chemicals into the air. You can do your part in saving the environment by properly disposing your devices into e-waste bins. 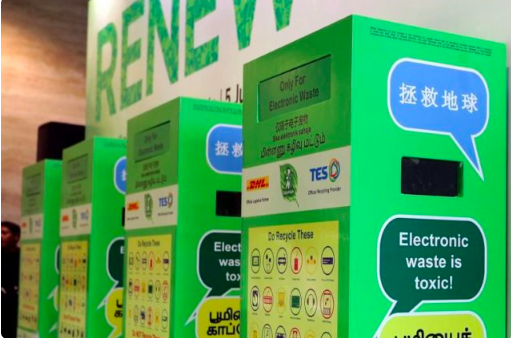 Find an e-waste collection point near you here! We hope you now have enough information to decide how to go about unloading your used electronics!